Lynn Frieda, freelance photographer from London, asked my services to organize for her photo shooting of a series of places in Moscow for a special edition of Departures Magazine (owned by American Express and based in New York City) about Russia. Lynn also had requested a special photo shoot near St. Basil using a car from "Pink Taxi" (Moscow transportation service created and run by women to be special taxi service for women). Here we had some problems with a guy from Federal Security. Because we were in the area of Red Square, all professional photo shooting using professional cameras need to have special permission from the Administration of the Moscow Kremlin including payment of a fee. Because I had such short notice for the photo shot, I was not able to receive official permission which is a difficult and complicated process. During our "lovely" (read "intense") conversation, when the security officer insisted that we delete the pictures from the camera's memory card, Lynn even had a thought that he can take away her expensive camera or even send her to prison (this man looked very strict and hard). ). When he asked me to delete the pictures, I tried to translate Lynn his request/order slowly, giving idea that she has to pretend to delete these pictures at least to delete some pictures but not all. Of course it was some risk that he could check her camera, but I tried to keep talking with him to divert his attention from Lynn. After finishing my confident talk I showed Lynn that now we can and after checking that we moved away on enough distance, I impatiently asked: "Did you delete them all? ? ", but she responded: "No, I've got all pictures! " So, at the end of our work everything was OK and we able to accomplish the main task and my client, Lynn Freida, left Moscow with a lot of interesting pictures and exciting memories! Arthur was wonderful to have with us. His knowledge of Moscow was amazing. His passion for his job was evident as he captures the moments in the pictures he takes. 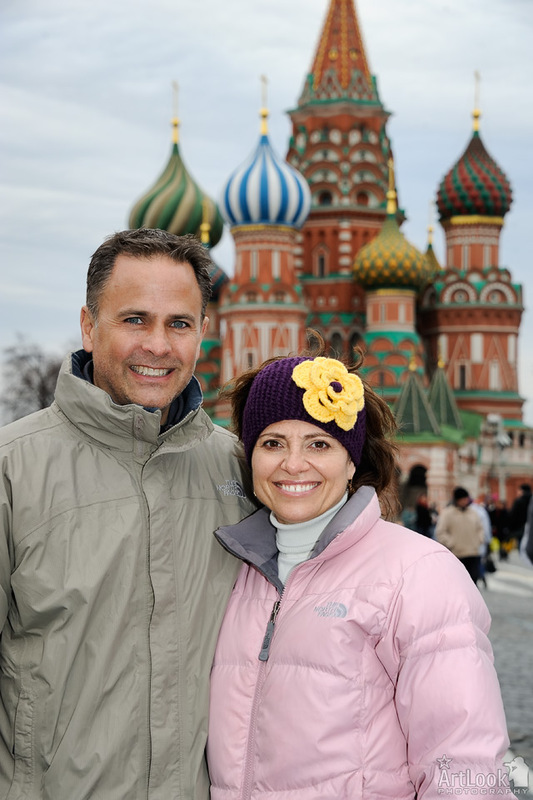 I would definitely go back to Moscow with Arthur as our guide to show us more of his beautiful country.